Shahid is currently on good terms with Vidya and Sania and every body is worried whom he will choose, if he has the chance, to be associated with for life. 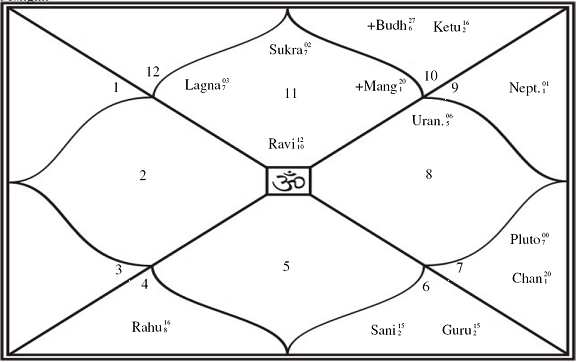 Ganesha does an Indian Vedic astro analysis on the Sun Charts of all three of them, as their full birth details are not available. 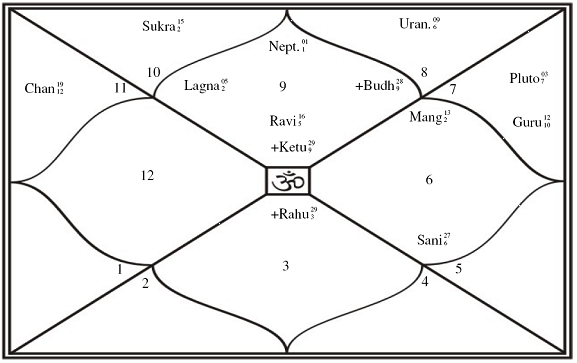 Ganesha observes that Shahid had Sun, Venus and Mars, in Aquarius an Air sign. Venus and Mars in Aquarius provide one with a strong physical attracting abilities from women and general, i.e. ladies in general are attracted to such a person. Vidya has Sun in Sagittarius, which is sextile to Shahid’s Sun, which makes them good friends and amicable with each other. Vidya has Venus in Capricorn and Mars in Virgo. Both these planets are in Earth Sings and in trine to each other, providing her a very passionate beauty and nature. Sania has Sun in Libra along with Venus and Mars in Capricorn. Mars has provided her, not with beauty of the proportions and magnitude that Vidya has, but has provided her with energy. Her innocent looks though are attributed to Venus in Libra. The planets Mars and Venus help one choose a life partner. Any soft aspect of one’s Mars and/or Venus with the other’s Mars and/or Venus, usually tilts the scales to that person’s favour, any hard aspects of these two planets with the other’s will upset the scales in the opposite direction. 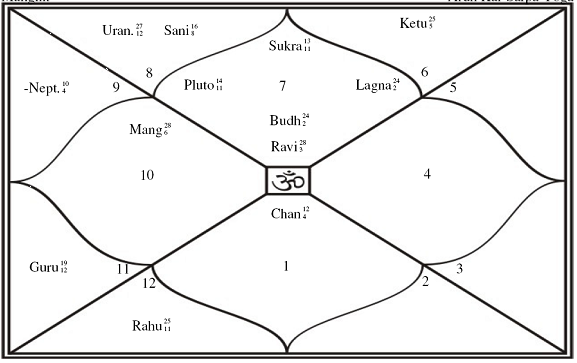 Ganesha finds that as Sania’s Venus is trine to Shahid’s Sun, Venus and Mars, Shahid will find himself comfortable with her and she may be his choice. Shahid though seems to be physically attracted to Vidya as his natal Mars aspects Vidya’s Mars, though its an inconjunct aspect. The other reason for his attraction for her is that she has Venus in Capricorn which is Saturn’s other sign and Shanid has Venus and Mars in Aquarius, Saturn’s sign. Thus there physical attraction benchmarks are same and similar, which may lead Shahid to be attracted towards her, but finally Ganesha feels that he will choose Sania, if not some one else. Wishing all three a very good life.